Creek Week continues, in today’s post. 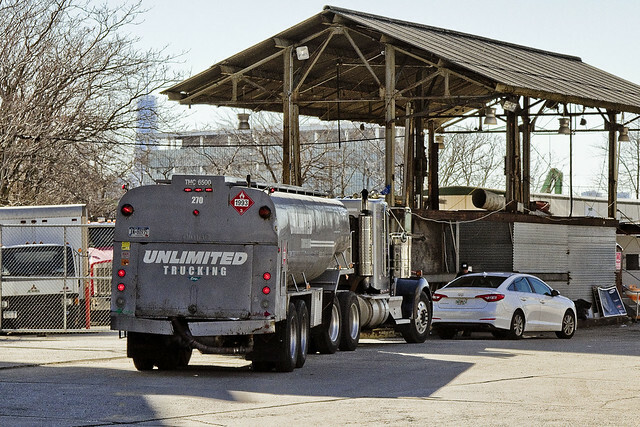 After visiting the Kosciuszko Bridge project, 57th avenue, and then Railroad Avenue, a humble narrator’s dogs were barking and a generally homeward course was adopted. As usual, that meant swinging down Borden Avenue and cutting over to Skillman Avenue on the way back to raven tressed Astoria. 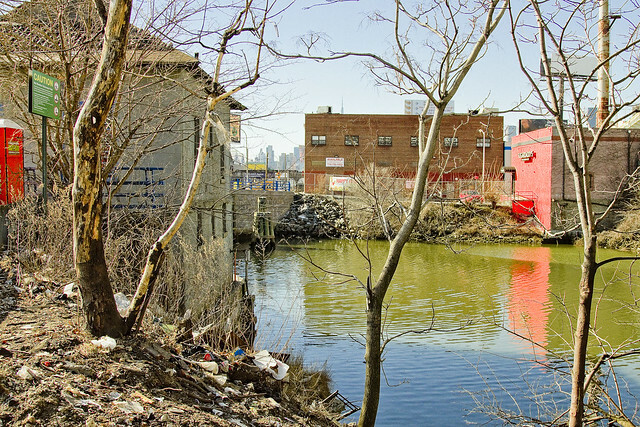 My favorite sections of Newtown Creek to photograph are found in LIC, along this particular tributary of the troubled waterway – called Dutch Kills. It’s something about the light, I guess. I haven’t been around here in a few weeks, and I discovered that a formerly fenced in section of the shoreline adjoining the Borden Avenue Bridge had been cleared away, which offered a few points of view which would have formerly required illegal trespass to capture. Given such an opportunity, a humble narrator will always take it. Looking west, towards what I call the “empty corridor” found under the Long Island Expressway truss. 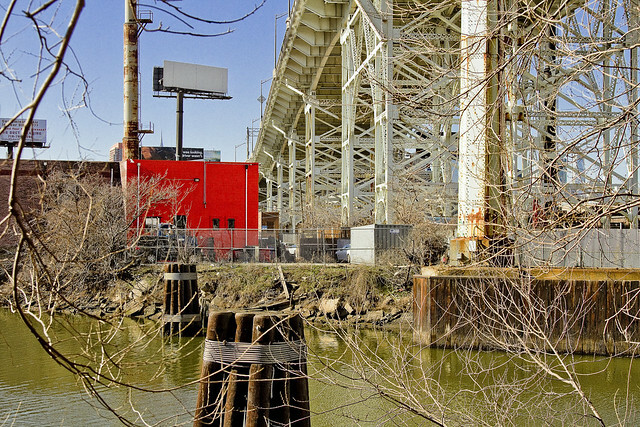 The LIE is some 106 feet high in this spot over Dutch Kills, and was built so to accommodate the stacks of ocean going vessels which were headed for the Degnon Terminal Turning Basin which is about a half mile away. The Federal War Dept. also required this particular height for the possibility of installing warships in the canal in order to protect the industrial sector in case of foreign invasion forces entering New York Harbor (a real worry, prior to the Atomic Bomb). 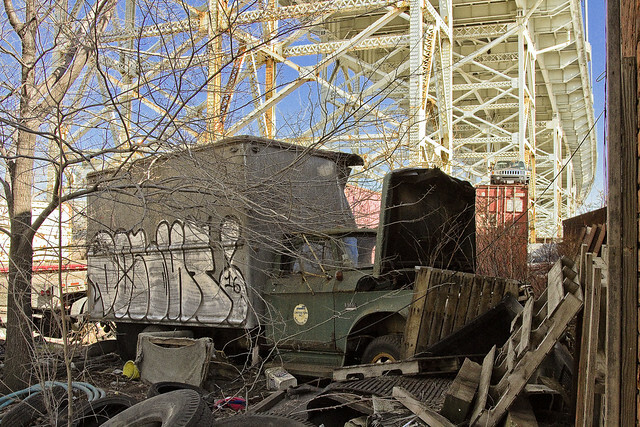 Looking eastwards, you see the sort of scene most life long Queensicans would associate with the words “Newtown Creek.” Still, check out that tuney old truck – cool, huh?